Lante stop by to see Valentin in custody. They want to discuss what&apos;s best for Charlotte since he&apos;ll be going to prison. Valentin believes Charlotte will be fine with Nina. Lulu tells him that Nina was the one who turned him in. Lulu asks for his help in transitioning Charlotte to minimize her pain and confusion. She asks Valentin for his blessing in having Charlotte stay with her and Dante. Valentin finally agrees, but asks that they not tell her the real reason that he had to leave. Dr. Obrecht eavesdrops on Finn and Hayden. They&apos;re discussing the drug tests and how someone is tampering with them. This time Brad is nowhere nearby. Mac and Anna meet to discuss Valentin. While Anna believes that Valentin deserves to pay for his crimes, she puts most of the blame on Alex&apos;s shoulders. She says Alex is refusing to cooperate. 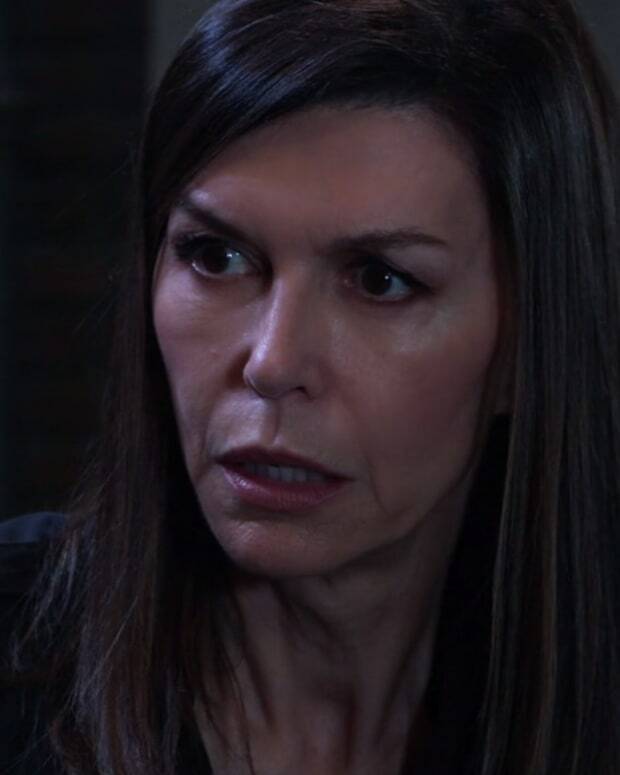 Anna worries that her sister will put all the blame on Valentin. Mac asks if she&apos;s ready to testify against Valentin. Anna doesn&apos;t think she has anything to offer since everything she knows is what Valentin told her. Anna says she has no proof and it would be her word against his. She feels Alex&apos;s testimony will be the important one. 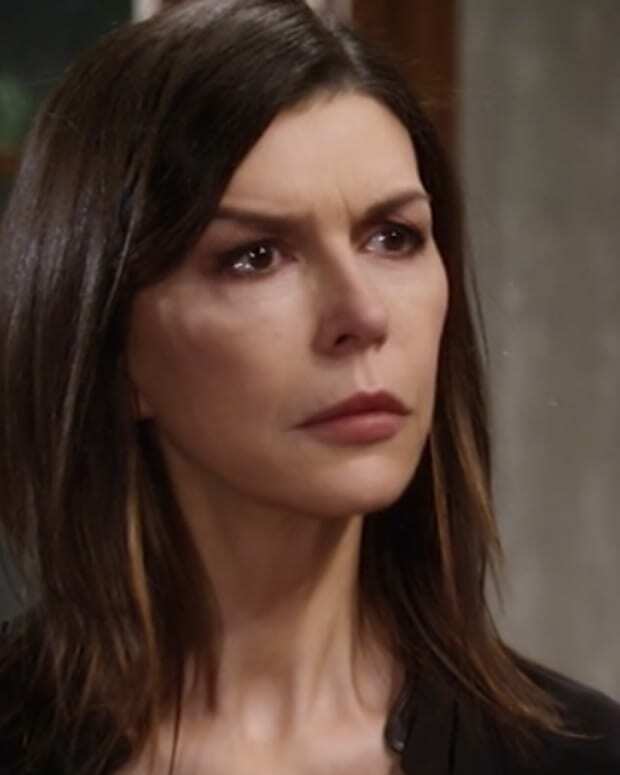 Nina&apos;s upset that she&apos;s the one who told Anna where Valentin and Charlotte were hiding out. Nathan points out that she could have been charged as an accomplice and it was better for Charlotte this way. Nina says Valentin saved her life the night of the ball, and he made her happy by giving her a family. Jordan brings over a cupcake to celebrate Curtis&apos; birthday. He&apos;s just thankful that she&apos;s in his life. After she leaves for work, Curtis is surprised when his Aunt Stella shows up for an indefinite visit. Apparently, she&apos;s not a fan of Jordan&apos;s. Oooh, strife in the Cordan relationship already. Cam is not happy. Yes, I said Cam was released from the closet for today&apos;s episode! When his soccer game is cancelled, he&apos;s forced to hang out with Liz at work. Spencer wants to hang out at home by himself. Laura&apos;s still concerned with his safety, despite Valentin&apos;s arrest. She drags him to the hospital to hang out while she has a board meeting. Hayden offers to look after Cam for the day and has a reunion with Spencer when he shows up. She offers to take on both boys and they all head out to Perks. The boys have sugary caffeinated drinks and start arguing about Emma. The whole thing turns into a giant food fight mess that Hayden can&apos;t control. Griffin wants to discuss Ava&apos;s case with Finn. He tells him he&apos;s worried about infection, which is Finn&apos;s area of expertise. Dr. Obrecht overhears and reminds Griff that Finn is not allowed to treat patients until he&apos;s cleared. Nina pays Valentin a visit in lockup and apologizes for being the one to send the police after him. She says she felt it wasn&apos;t good for Charlotte to be on the run. Valentin says he would have sent for her once they were settled and they could have been a family again. Nina hands him divorce papers and tells him that she wants her freedom. Hayden calls Laura for help. Once she arrives, she stops the boys from fighting and gets them to clean up their mess. Hayden is upset. She tells Laura that she&apos;s pregnant and worries she won&apos;t be a good mother if she can&apos;t handle two teen boys. Laura reassures her. Finn confronts Dr. Obrecht and asks that they put aside their differences for the sake of the patients. Liesl is not interested. Griffin arrives. He tells Finn that his latest drug test was positive and with Brad nowhere near the lab, he couldn&apos;t have tampered with it. Finn is suspended. Lulu tells Dante that she&apos;s worried Charlotte will blame her for Valentin&apos;s disappearance from her life. Anna gets a call that Alex has escaped from the WSB. Valentin gets an unknown visitor......duh duh duh.